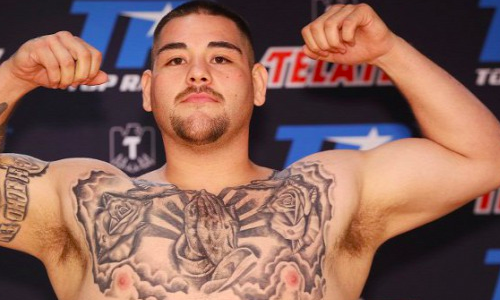 American heavyweight boxer Andy Ruiz (31-1, 20 KOs) came up with an interesting answer when asked which among the ‘big three’ would be the easiest fight for him. Will it be reigning champion Anthony Joshua? WBC holder Deontay Wilder? Or former lineal champion Tyson Fury? “I think I would pick AJ. You know, all three of them would be a blessing to have [an] opportunity to fight for a world title,” he told Behind The Gloves. “But I think, in my eyes, AJ would be an easier opponent… how his style is and how him and [Joseph] Parker went the distance,” added Ruiz, whose only professional defeat has come at the hands of Parker. Joshua is scheduled to make his American debut against Jarrell ‘Big Baby’ Miller on June 1. And Ruiz doesn’t see an upset happening. “It’s gonna be a good fight, but I see AJ winning,” he put it simply. Ruiz, a former NABF champion, is scheduled to trade punches with Germany’s Alexander Dimitrenko (41-4, 26 KOs) come April 20.